Sketches include a commercial for a restaurant where only certain customers get to eat free, a man consolidates both his businesses due to the recession, and Wheelchair Cat ends up in the hospital. Better Than It Has A Right To Be. Well, it's Happy Madison. And as much as their legion of fans would like to protest, their work was never headed for 10/10 territory. 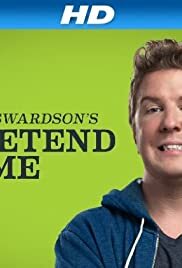 That being said, Pretend Time is better than it has any right to be mostly thanks to Swardson's innate charm. The vast majority of his sketches are lazy and one-note but there are a few gems like the painting with creepy eyes that goes blind and Swardson can often carry the weaker ones by virtue of being a big affable goof. It's extremely rough around the edges and could use a system of links ala Monty Python to give the show a more natural flow. 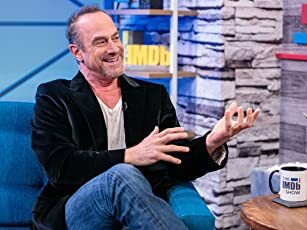 His current "the last sketch airs on a TV screen in the background of the next sketch" device only adds to the suspicion he's half-assing it. All in all though I'm looking forward to seeing if Nick can step up his game in season 2. It definitely deserves a chance.